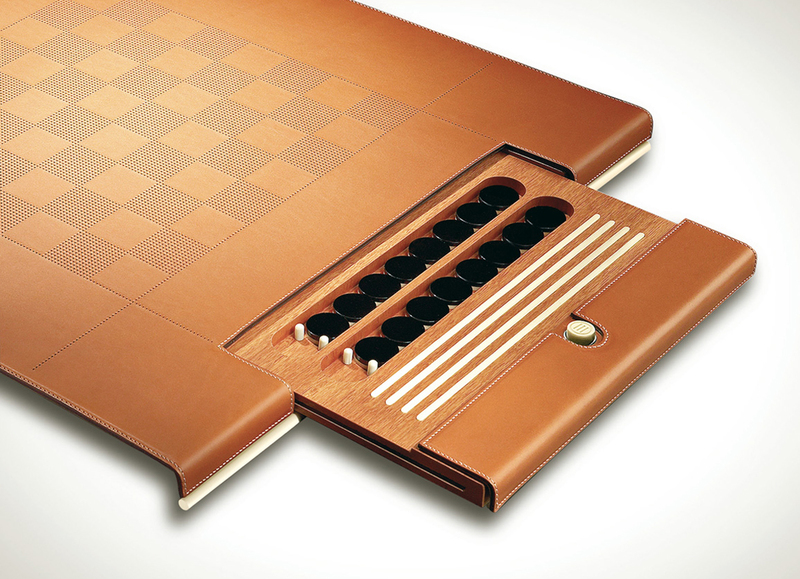 Vaquetilla leather in hazelnut color. 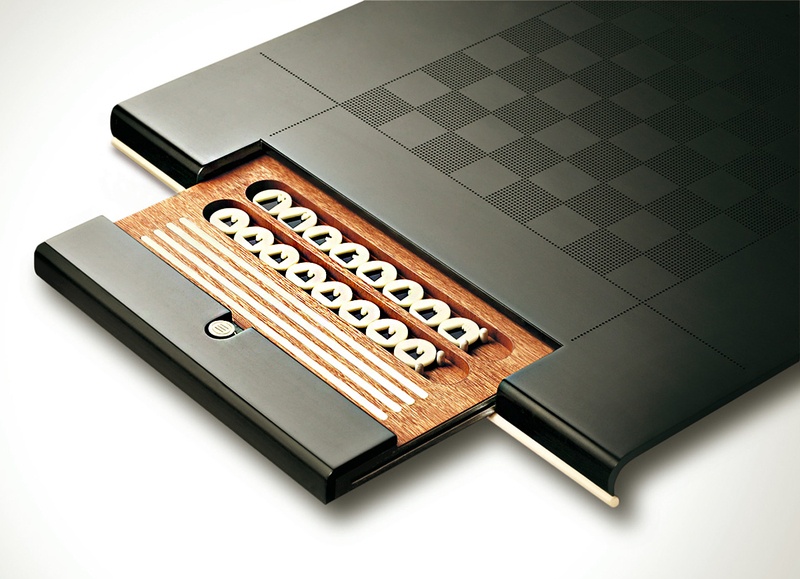 Interior in cedar wood and simile ivory. 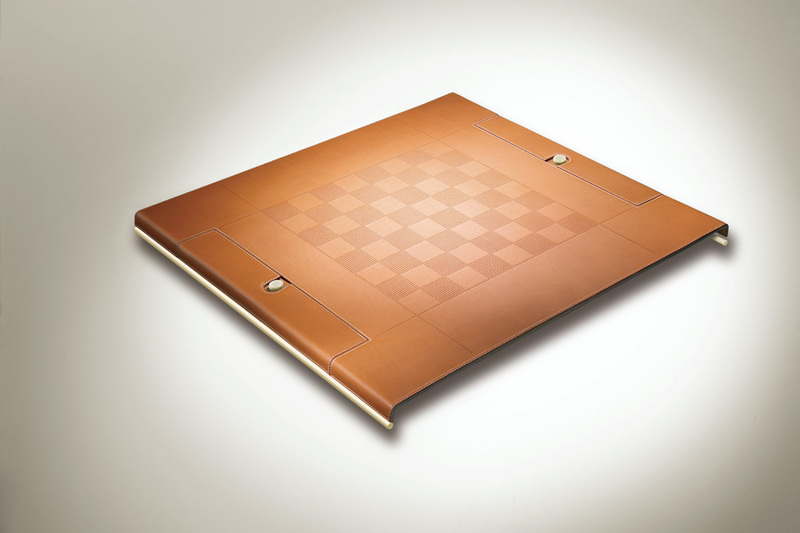 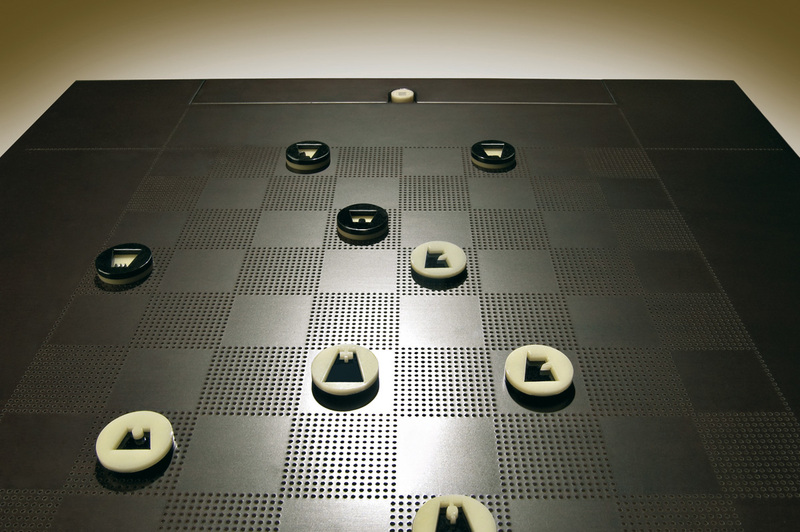 Reversible counters in simile ivory for chess and draughts.